The Road Ranger Blog: A Mixed Lot of Recent Snaps. A Mixed Lot of Recent Snaps. 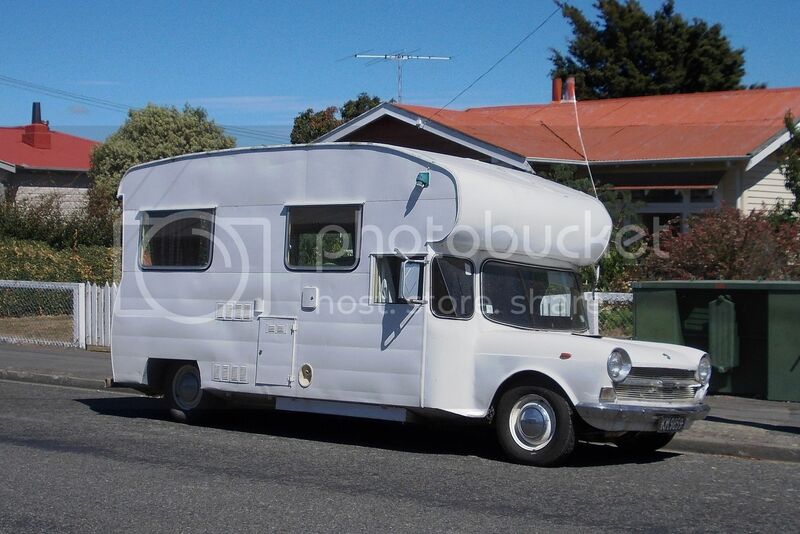 I have seen camper vans built on all sorts of chassis, but this one takes the cake ! These Japanese style car loaders intrigue me. Lifting the whole front of the truck to tilt the deck seems odd, but it works. This was at my work last Monday morning. Another Japanese style which puzzles me. 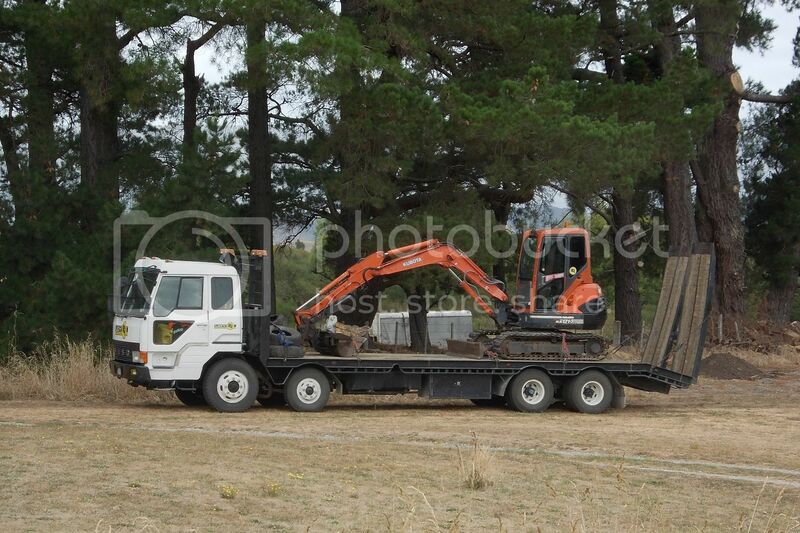 Why didn't they use the small wheels on the front axle as well. Is it to give the cab occupants a better ride? 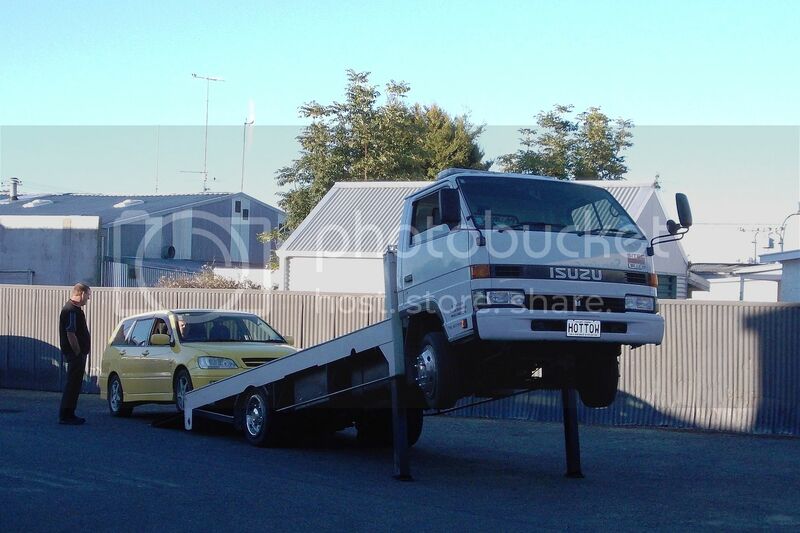 This Isuzu parked on a property west of Masterton. 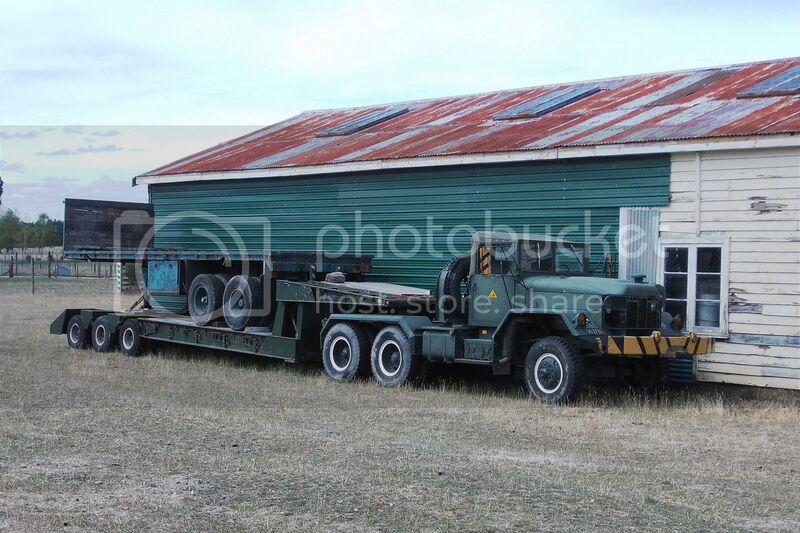 A collector of all things military near Carterton has this AMC 6x6 tractor. The NZ Army had 8 of these. Some were Cummins powered, but not sure if they all were. I believe they all had canvas topped cabs and LHD. 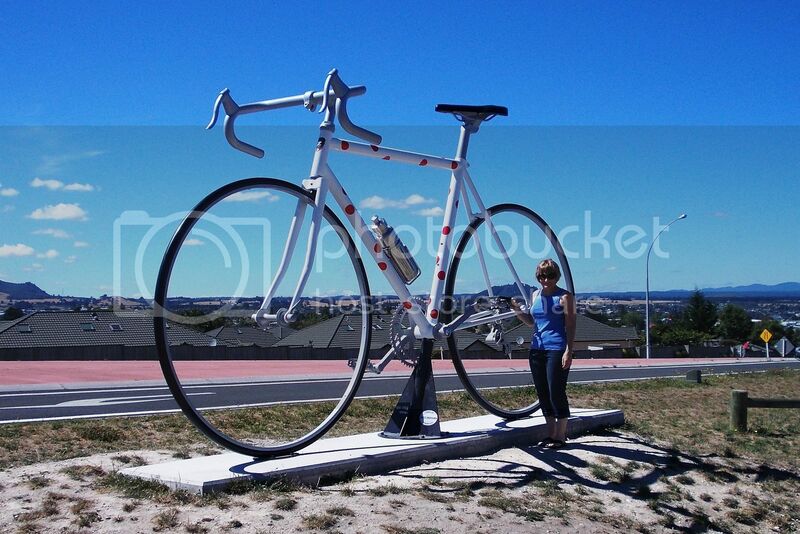 My wife trying to decide how to get on her new bike ! Taupo: the weekend of the Pat Benetar concert. I'm not a big Benetar fan, but America and Bachmann & Turner were brilliant. 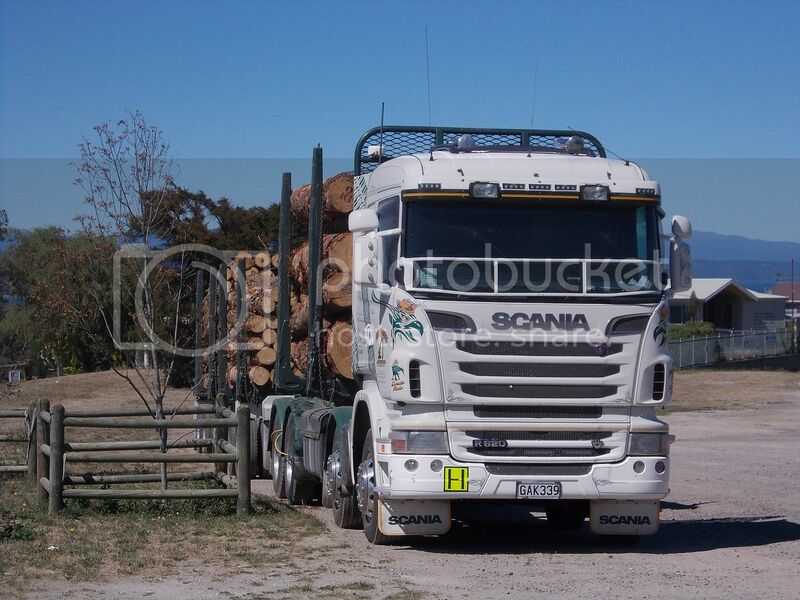 R620 Scania with a load of sticks near the above bicycle. 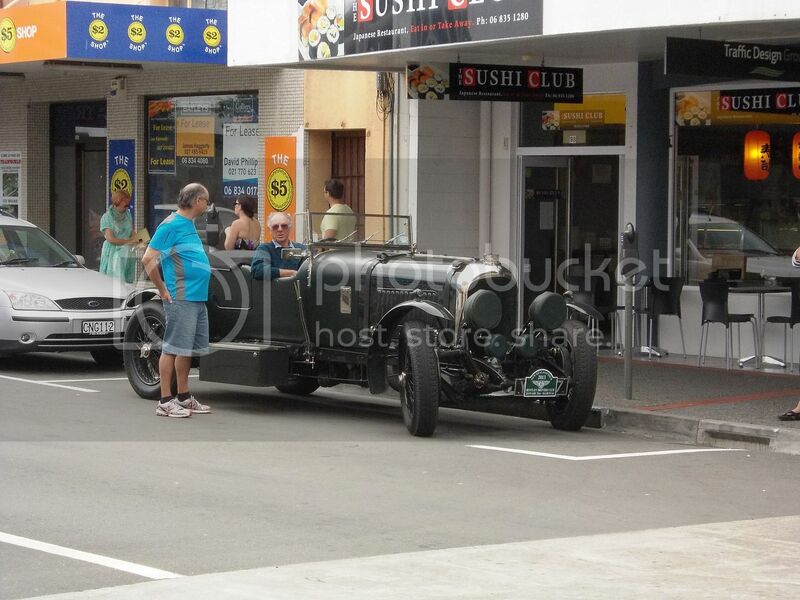 Returned from Taupo through Napier and discovered it had been the Art Deco weekend. 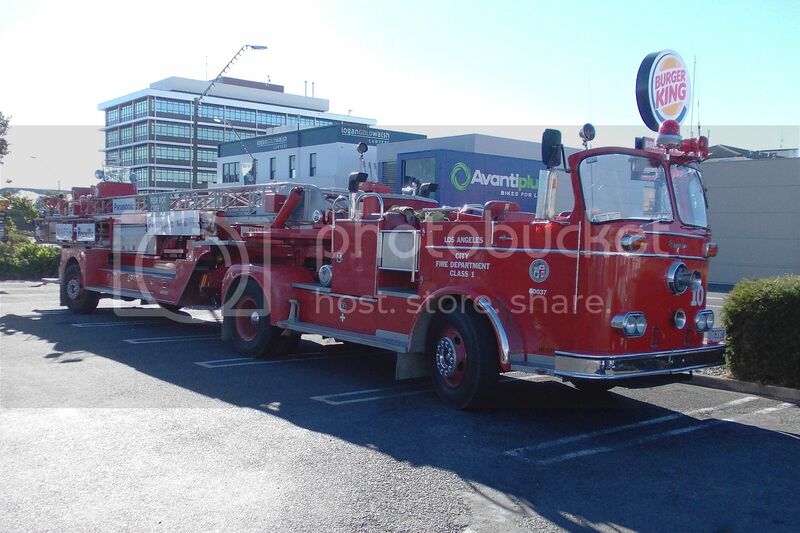 The Seagrave ladder truck from Auckland passed through Masterton this week. Built in 1960 it served the L.A.F.D. for many years and the was presented to the City of Auckland by the people of Los Angeles in 1995. They didn't park it in the best place for photographing it. 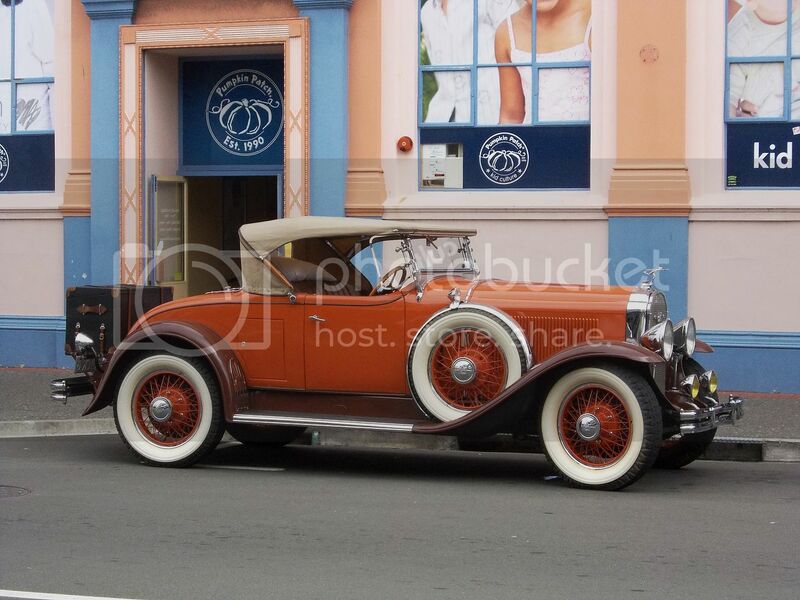 It is apparently powered by an 18 litre petrol engine, but I don't know of what make. Plain gear lever with no switches, suggests it is probably a straight 4 or 5 speed. 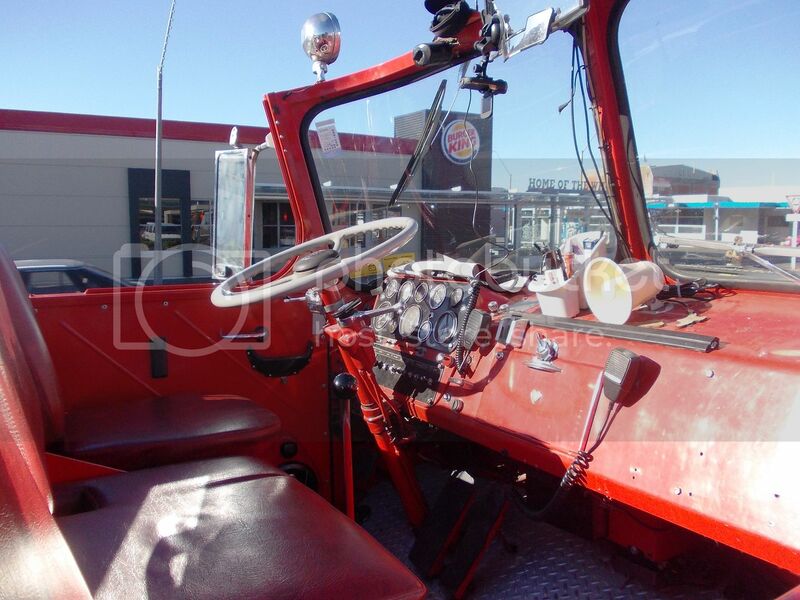 How does a us tiller fit in nz? Also why don't you guys try more us equipment. 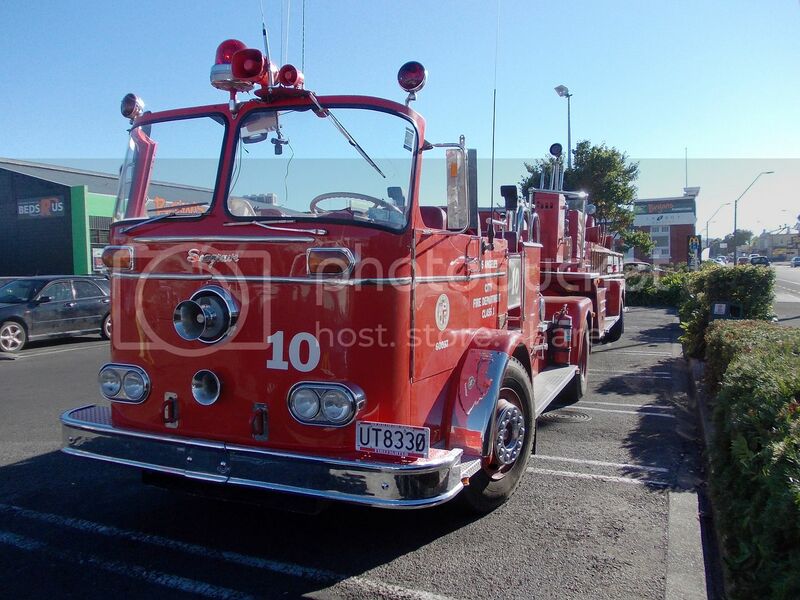 I think us engines/pumpers are high tech, and beautiful. I personally don't like scania. They look weird and too compact. I should also say that the tiller is an absolute beauty. Lastly as an angeleno I have deep admiration for the LAFD! Thanks for sharing this.